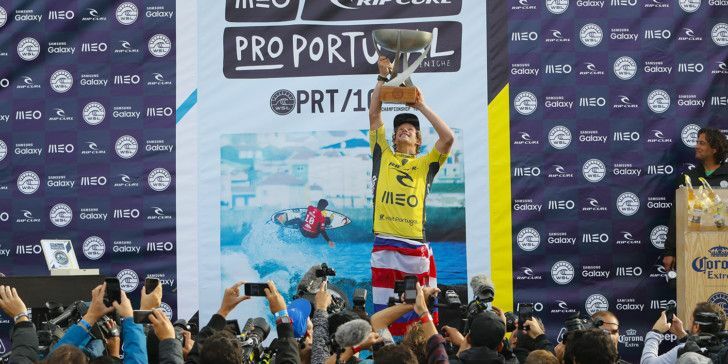 John John Florence (HAW) claims his maiden World Surf League Title at the MEO Rip Curl Pro Portugal. 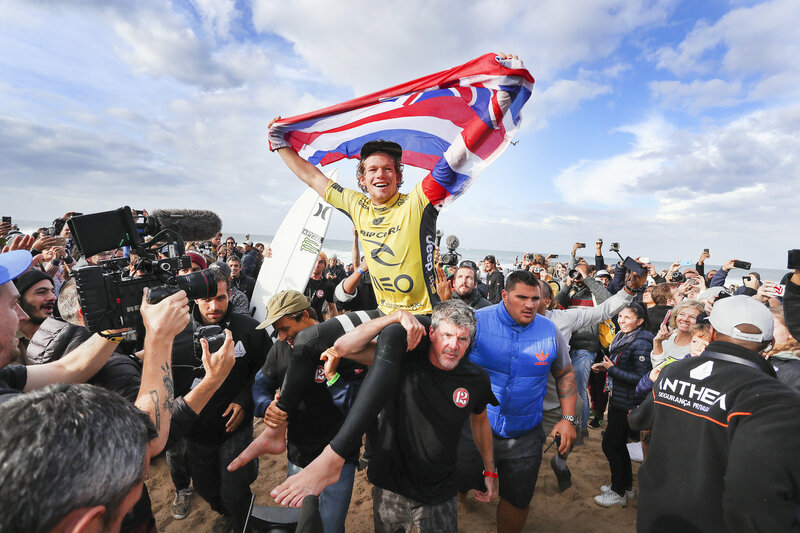 Today’s call: Event complete – Congratulations John John Florence! SUPERTUBOS, Peniche/Portugal (Tuesday, October 25, 2016) – John John Florence (HAW), 22, today clinched the 2016 World Surf League (WSL) Title in dramatic fashion with a victory at the MEO Rip Curl Pro Portugal in Peniche, marking the first time a Hawaiian has held the world surfing crown since the late Andy Irons (HAW)in 2004. John John Florence (HAW) is chaired up the beach as the World Surf League Champion and winner of the MEO Rip Curl Pro Portugal. John John Florence (HAW) takes to the air during the Final at the MEO Rip Curl Pro Portugal. The next and final stop on the 2016 Samsung Galaxy WSL Championship Tour will be the Billabong Pipe Masters in Memory of Andy Irons from December 8 – 20, 2016.